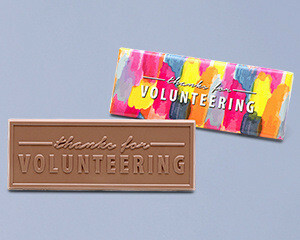 We provide the pieces, you provide the message. 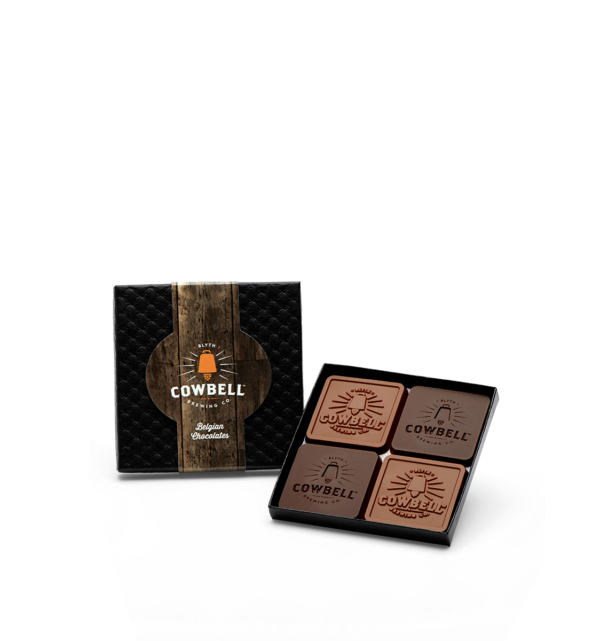 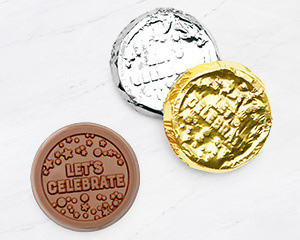 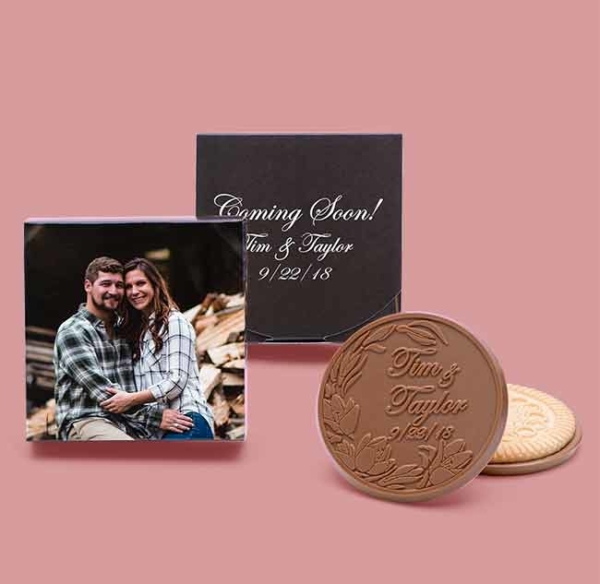 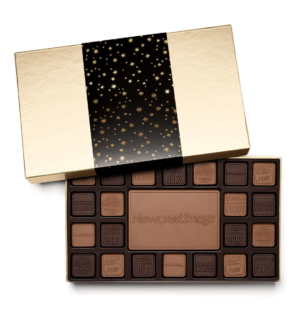 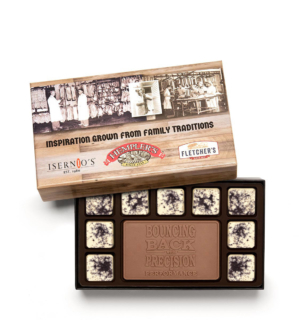 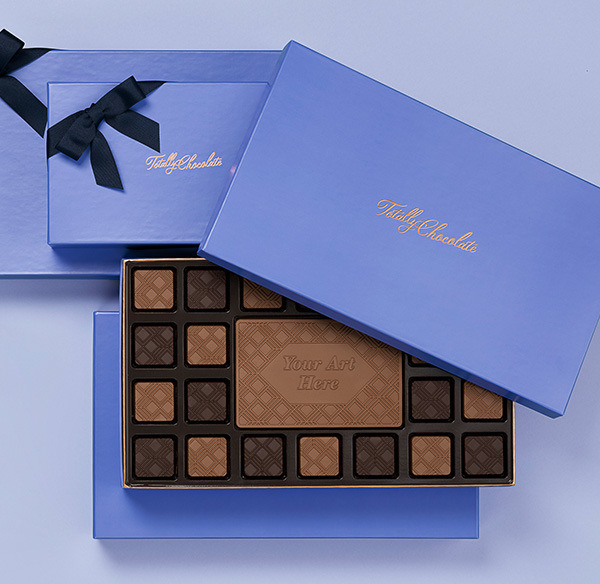 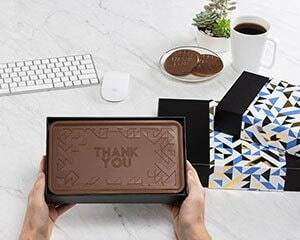 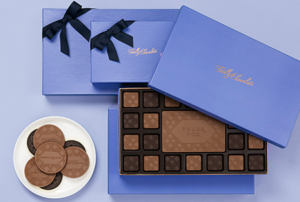 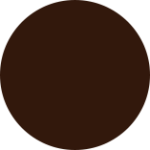 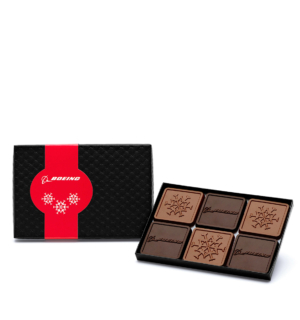 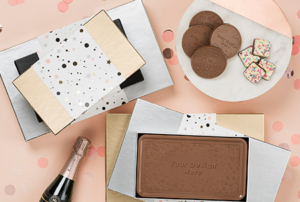 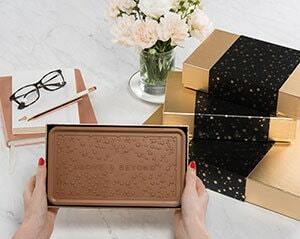 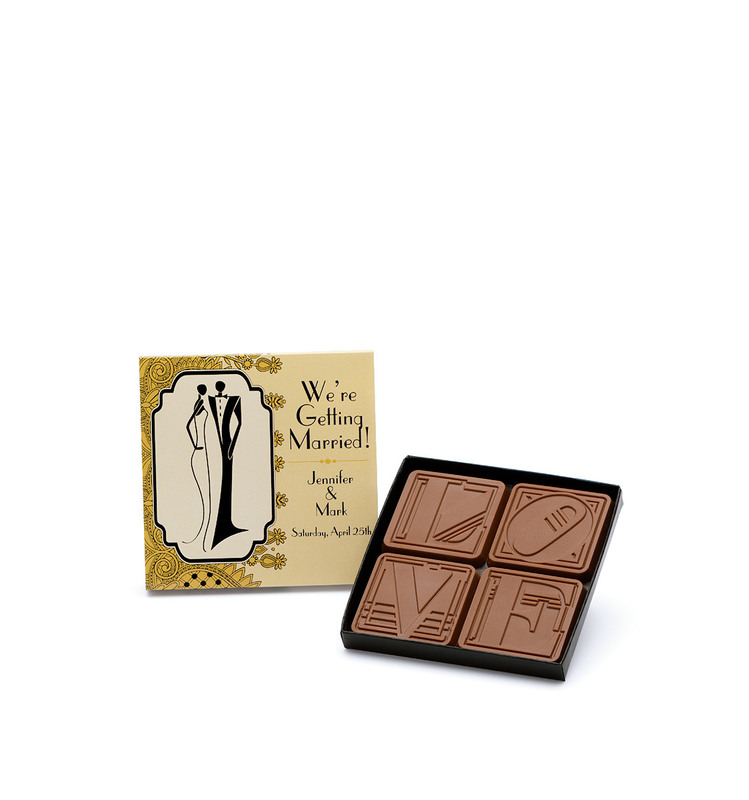 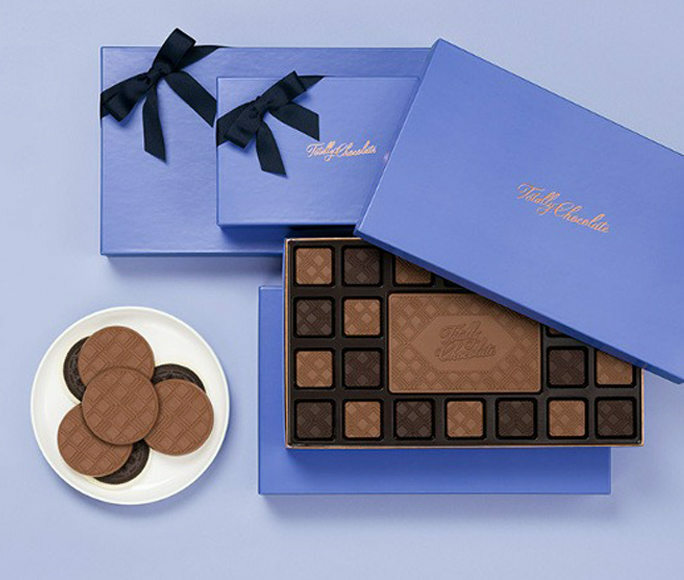 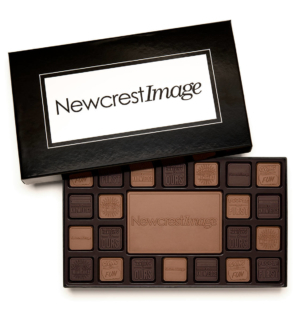 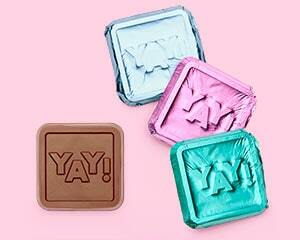 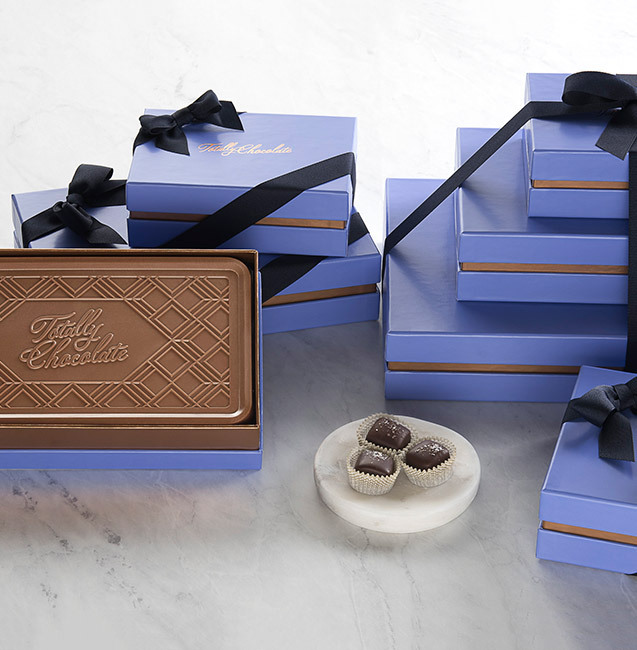 Your personalized logo is engraved on four 2″ squares in alternating Belgian milk and dark chocolate. 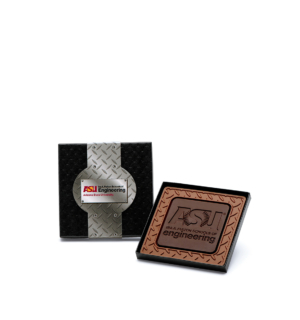 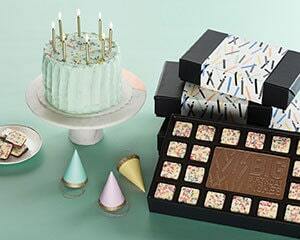 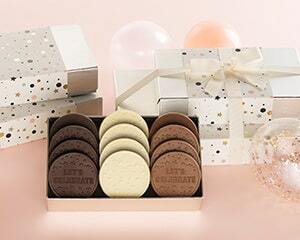 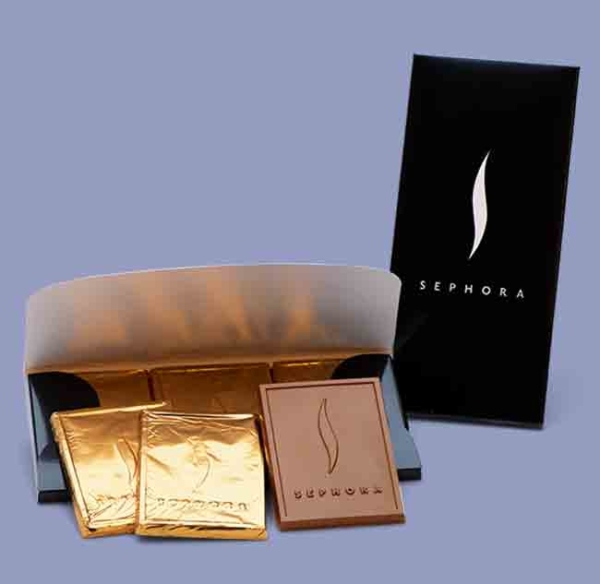 Package in a gift box with your choice of lids: gold, silver or red foil swirls, plain white, or textured black. 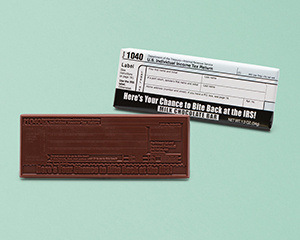 Add a custom-imprinted band at no additional charge. 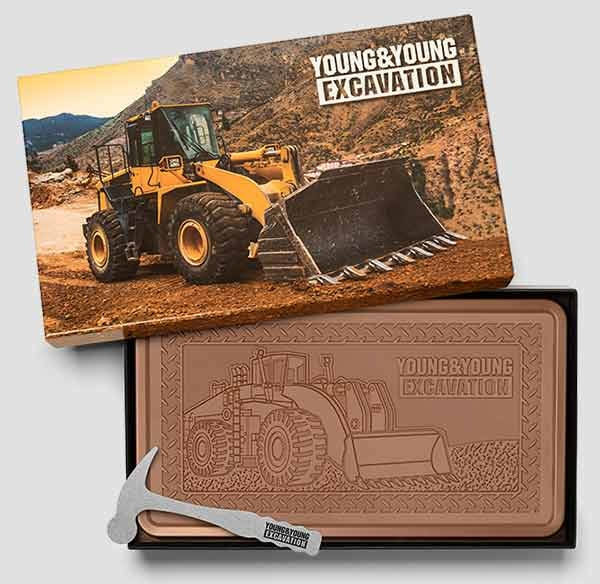 Full-color printed sleeves are available to add the ultimate custom look to your business gift packaging for $1.50 additional.